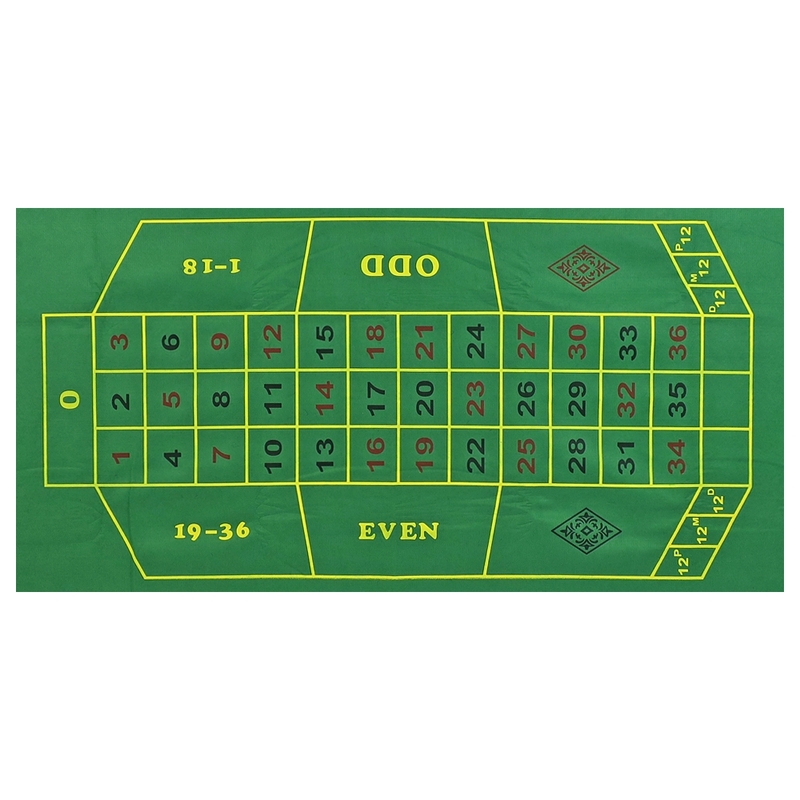 Large Green '0' Roulette Layout - 180cm x 90cm (Approx.). European '0' Roulette design and betting rules. Roulette Layout Length: 180cm (Approx.). Roulette Layout Width: 90cm (Approx.). Roulette Print Length: 109cm (Approx.). Roulette Print Width: 56cm (Approx.). This Large Green EU Felt '0' Roulette Layout is ideal for your Fun Casino Home Gaming. Its Large size allows for the layout to cover most tables and can also be fitted to home table projects. The design is the European '0' Roulette Layout and betting rules. Its screen printed onto a thick felt for longer durability.